J.H. 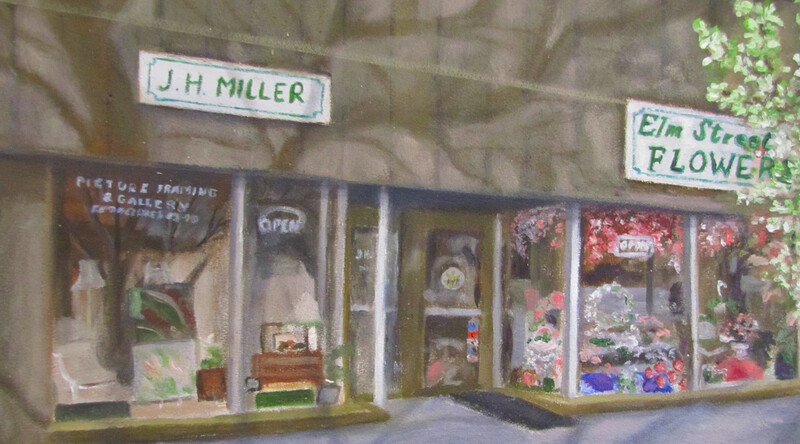 Miller Picture Framing Company was established in 1890 in Springfield Massachusetts and is known as Western Massachusetts oldest frame shop and gallery. Providing our customers a unique experience upon every visit. Along with thousands of frame choices, an Art Gallery featuring etchings, giclees both on paper and canvas, as well as collection of original works by local artists in a variety of mediums — all complemented by our artisan gift collection of exquisite blown glass items and unique handmade jewelry. J.H. Miller is in its 3rd Century of operation and has survived two World Wars, a depression, and several recessions. A family owned business that strives to make relationships with our clients and artist the focus of our business. The Hutchinson family has owned the business for the past 26 years. We happily undertake the most modest or the most ambitious of projects, including those requiring archival and museum-quality framing. We showcase nearly 5000 frame samples in all shapes, colors, designs and price ranges.